Barack Obama’s campaign vowed late Friday that he would be on Arizona’s ballot in November despite threats from the state’s top election official that the president might be blocked over a conspiracy theory about where he was born. The campaign was responding to comments made by Arizona Secretary of State Ken Bennett, who said on Thursday he was not convinced that a copy of the president’s birth certificate was sufficiently authentic to prove Obama was born in the United States and therefore eligible for office. Bennett is planning to run for governor in 2014 and is also the co-chair of Republican Mitt Romney’s campaign in Arizona. From day one, Mitt Romney has pandered to the far-right of his party, and today Arizona Tea Party Republicans are following suit by questioning where the President was born. The President will be on the ballot this November in Arizona alongside Mitt Romney. And Arizonans will have a choice between a President who brought us back from the brink of another Depression so job loss has been reversed to create 4.2 million private sector jobs, manufacturing is resurgent, and GM is the #1 automaker in the world — and a Governor with a familiar and troubling economic scheme: more budget-busting tax cuts for the wealthy; fewer rules for Wall Street — the same formula that benefitted a few, but crashed our economy and punished the middle class. PHOENIX — Arizona’s governor has signed a bill designating the Colt Single-Action Army revolver as the state’s first official firearm. Our favorite Nazi-coddling nativist politician, Arizona Senate President Russell Pearce, just can’t seem to escape the corruption scandal that’s dogging him daily now — namely, his major role in the distribution of illegal free tickets as part of the Fiesta Bowl’s running malfeasance scandal. Wendy Halloran of Phoenix’s Channel 12 News, while reporting on this weekend’s ugly Tea Party rally in Phoenix (more about that soon), tried to corner Pearce and ask him about his promised delivery of invoices proving he had paid for his tickets, as he has tried to claim. HALLORAN: Where are your invoices for the Fiesta Bowl? PEARCE: You know what, you’re not going to come in and ambush me with these kind of games. PEARCE: I’m going to go do my job. HALLORAN: Senator Pearce, with all due respect, it’s my job to hold you accountable. Where are your invoices? PEARCE: You know, your job is not to harass. HALLORAN: I’m not trying to harass you, sir. My job is to hold you accountable. Can you just tell me when we’re going to see the invoices, sir? PEARCE: I don’t have to show you anything. TOWNSEND: We are going to basically shine a light on our politicians so that there’s no secret — as much as we can possibly do that, and help keep them accountable fiscally, you know, ethically, all those issues, and that’s what this is about today. No wonder the recall campaign against Pearce is gaining steam. NEW YORK — Compared to a sleek new laptop, that three-pound mass of fatty tissue called the brain may not look like much. But when it’s injured, it adapts and rewires its circuits in new ways. 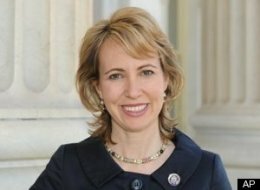 That’s the kind of flexibility that doctors and rehabilitation specialists hope to encourage in Gabrielle Giffords, the brain-injured Arizona congresswoman. Details about her recovery have been thin. But members of her staff say she recently began speaking for the first time since the Jan. 8 attack by a gunman in Tucson. Brain injury patients who regain speech typically begin to do that about four to six weeks after the injury, experts say. Last week, the Congresswoman asked for toast while while having breakfast, her chief of staff told the “CBS Evening News.” That was within a month of being shot in the head. The Houston Chronicle noted that doctors at TIRR Memorial Hermann have used the phrase “lightning speed” to describe her recovery thus far. As unpleasant as it is to inject political history into a discussion surrounding the tragedy that is becoming known as the Tea Party Massacre (the term itself is, of course, a political injection,) I think that is is something that we should do. Something we MUST do. As you might have guessed by the graphic, I lay a great deal of the blame at the feet of none other than Saint Ronnie. Saint Ronnie, by beginning his campaign in Philadalphia, Mississippi, blew a silent dog whistle that many people on the fringes of our society listened, and responded, to. The “militia” movement of today began in earnest in the Saint Ronnie era, and almost all of those people were either loosely, or tightly, bound around the notion of “White Pride.” The Aryan Nations, The Order, and hundreds of little imitators suddenly felt a whole lot better about themselves, and what they stood for, because of the guy in the White House, who famously used to talk about the “strapping young buck” buying his steak with food stamps. The “Welfare Queen,” which is a racist figment of the right wing imagination, was born in the era of Saint Ronnie. While there is no evidence that Jared Loughner was ever a member of one or another of these groups, they are as numerous as cacti in Arizona, and Loughner definitely knew, and repeated, a lot of their jargon. The juxtaposition of events that occurred in the Saint Ronnie era, in my opinion, led us right to where we are today. -Saint Ronnie convinced people that they should have it all-roads, schools, police, fire departments-but that they should PAY for NONE of it. Two lingering results have come from the Gipper’s dishonesty regarding taxes and services; (1.) is that no politician who wishes to prevail can dare to even BEGIN to talk about raising revenues, and (2.) our borrowing has finally constrained us to the point where we cannot even begin to address the deterioration in our educational system, or our highways, or our schools. If EVER we needed to have an honest discussion about what we want, and what we are willing to pay for, the time has come. It is time to put this right wing demonization of GUBMINT and taxes to bed once and for all, and I’ll give you just one example of why. Arizona, loaded down with “Tea Party” type Republicans, is starved to death for revenue. As a direct result of being starved to death for revenue, spending for mental health services has dropped dramatically (a trend that also began in the Saint Ronnie era, when state mental health systems broke down from lack of funding and thousands of mentally ill people were dumped on the streets.) As a result of that drop in spending, these days you have to do something pretty dramatic to get the attention of mental health authorities in Arizona. You know what I mean-something like Jared Loughner did. -The second thing that Saint Ronnie popularized was this notion that any American ought to be able to buy whatever gun he or she fancied. As a result, for 30 years now fringe, lunatic elements in our society have been able to get their hands on ever-stronger and more effective firepower. Any politician who dares to talk about controlling the lethality of weapons in this country can expect to be drowned in a sea of NRA money, in spite of the fact that gun violence-towards individuals, and Police Officers, and Government officials-is disturbingly high, and in the case of Police and other officials, definitely on the rise. The idiots who insist that the Second Amendment to the Constitution gives us all the right to pack heat that can turn a guy into hamburger always ignore the words “A WELL REGULATED MILITIA.” The Founders, who put that Amendment in, were dealing with a country that faced hostile frontiers on all sides of it-and had smooth-bore hog rifles that were cumbersome to reload, and dangerous for a distance of about 50 feet. As far as the malarkey about “they wanted us armed ‘cuz they wanted to keep the GUBMINT scared,” history has shown us that from the days of the Whiskey Rebellion on, the Federal Government has not hesitated to use lethal force to enforce its mandates any time it judged the situation to warrant it. Far too many American lives have been either lost or horribly altered from what is obviously a perverted reading of the intent of the Second Amendment, and it is high time that we got together and decided on a reasonable system of regulation of firepower. I don’t know about you, but I am sick to death of a bunch of deaf-eared right-wing fossils preventing me from even having a DEBATE on what is to be done. If they don’t want to talk about it, then they need to get out of the way. Their twisted paranoia has caused this country enough misery, death, and decline. It’s time for the reasonable and the rational to be heard. Following Sarah Palin’s videotaped statement today, let there be no doubt about her total lack of seriousness — a character trait, in fact, that’s utterly dwarfed by her chronic inability to construct prepared, teleprompter-presented remarks without virtually choking on her own tongue. Sarah Palin could have used her time to be a leader — to take the high road and talk about the heroes and the victims of this terrorist attack. She could have used the time to discuss responsible gun ownership. She could have taken the time to address her people and mitigate the anger and political hatred that’s bubbled up around this tragedy. Instead, she diminished the tragedy by conflating it with the attacks against her and her record of inflammatory statements. And, along the same line, arguably the biggest gaffe of today’s narcissistic word salad was her use of the phrase “blood libel.” So not only did she opt to whine about her critics on a day when real heroes and real victims will be memorialized, but she also compared the criticism and stress she’s endured throughout the last four days to thousands of years of anti-Semitic religious persecution endured by Jews. The histrionics are staggering, especially for someone who wants to be taken seriously as a potential candidate for national office. Though, in her defense, it’s very likely she didn’t write this speech. So whoever included “blood libel” in the text had to have understood the meaning — even if she didn’t. After all, it’s not a phrase that pops up in normal conversation or within the average political address.